Why Implement Accounts Payable Automation? 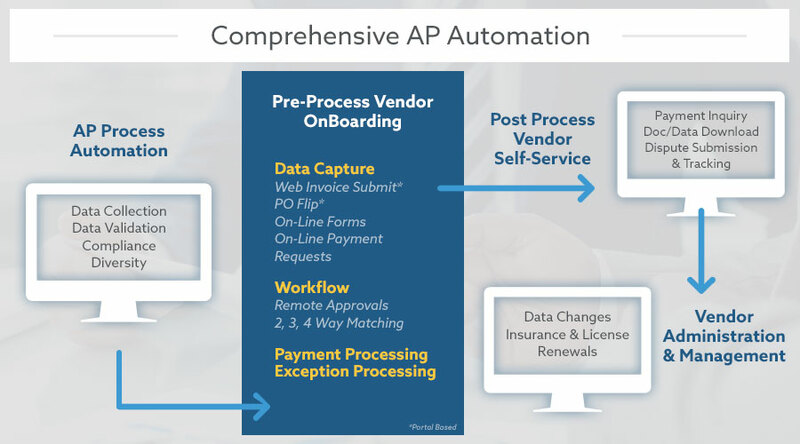 AP Automation can help your company process invoices faster, take advantage of discounts offered, save costs by automating manual processes and promote vendor self-service. 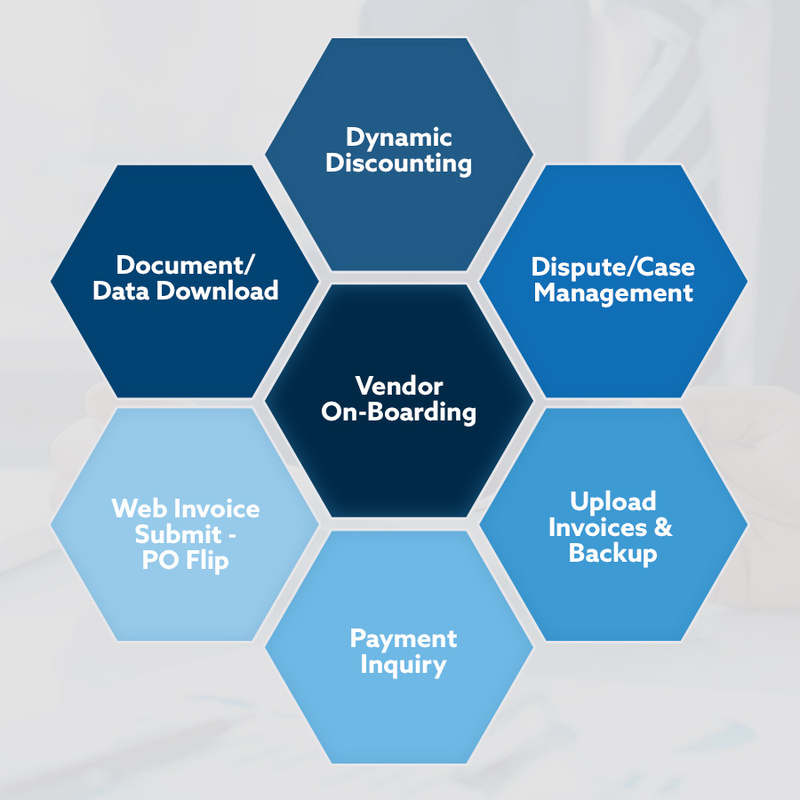 At ICG Consulting, we specialize in AP Automation, and we have helped many companies save millions of dollars a year with our award-winning accounts payable automation solutions, which include complimentary applications such as vendor portals, supplier portals, vendor on-boarding, spend analytics, dashboards, reporting and dynamic discounting. Implementing the proper blend of data capture technologies while taking into account your current AP processes is crucial for yielding the best results. ICG works with your current technology to implement the best set of technologies that adapt to your processes, technology, and corporate culture to achieve maximum results. Once your documents and data have been captured electronically, the inbound transactional documents are imported into our Workflow Management software. Next, the payment information is sent to the ERP system for vouchering and payment. (Our workflow solution can always be integrated with your current CRM, ERP and ECM software). This process, often called “invoice automation,” benefits Accounts Payable by providing a clear audit trail of transactions and real-time visibility into AP liabilities, as well as increasing the productivity of AP workers. Once the payment information is processed, it doesn’t stop there. Data collected throughout the process is available and can be delivered as financial or productivity reports as well as providing you with advanced spend analytics so you can track your vendor spend and help manage rouge spending and budget adherence. You can also perform complex searches by a wide variety of criteria to build ad hoc reports on almost any criteria relevant to the process. Our AP Automation system is built with vendor self-service in mind, so vendors can easily update their information or submit requests via a vendor portal or supplier portal. ICG’s cloud hosted vendor portals and supplier portals are highly secure and offer 24 x 7 access to vendors. ICG Consulting’s Accounts Payable (AP) Automation suite is Cloud-hosted and single tenant so the solution is completely configurable to fit your process and culture. Cloud Hosting: Single-tenant, SaaS type model which ICG hosts and manages in the cloud. You own and control your data, documents and applications and have 24×7 access. No sharing of any applications or data. Implementing the right mix of technologies saves time related costs by capturing and processing data more efficiently. AP Automation provides significant bottom line savings through lower processing costs, faster payment cycles, clearer visibility of financial operations, and real-time reporting to track productivity. Contact ICG more information about AP Automation solutions and services or to schedule a demo for your team.